A raw bar delicacy! 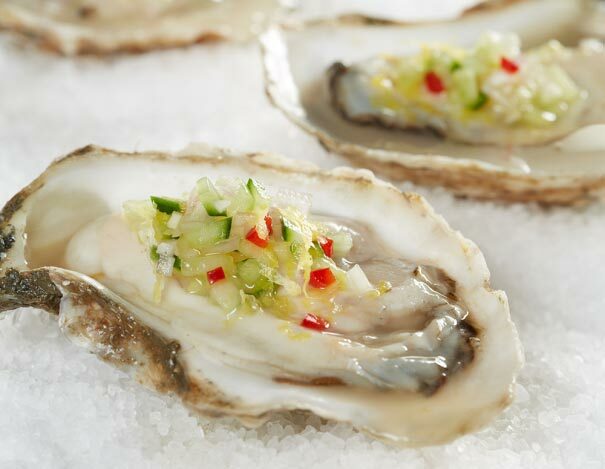 Our fresh oysters have a distinct, rich flavor. Try them raw, steamed, smoked, or fried. They're great with our Legal Cocktail Sauce. 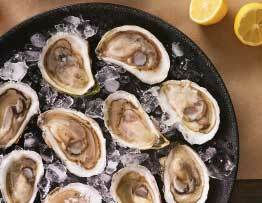 Consuming raw or undercooked shellfish may increase your risk of foodborne illness. 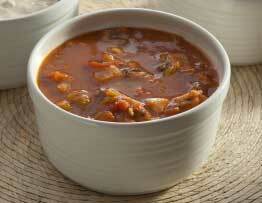 More information about the safety of consuming raw food is available upon request. 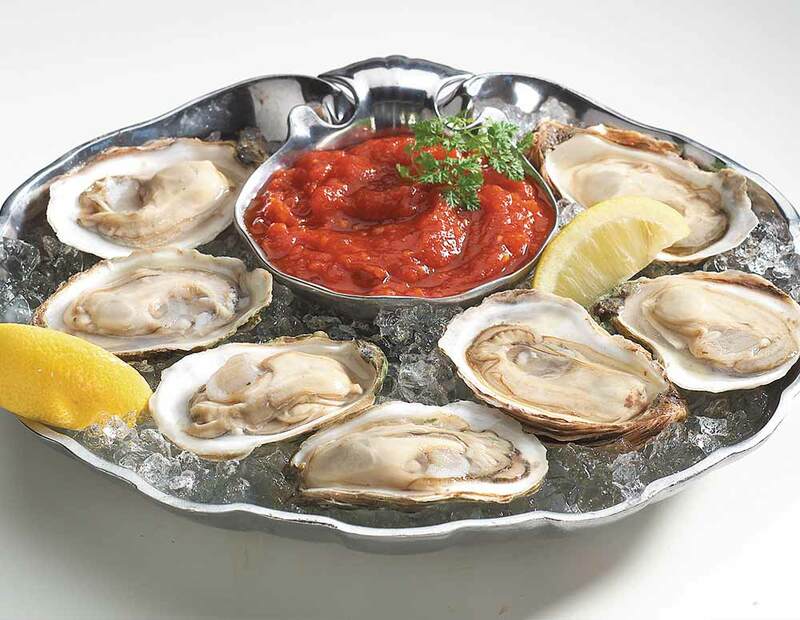 Place an oyster cup side down onto a clean kitchen towel or cutting board. 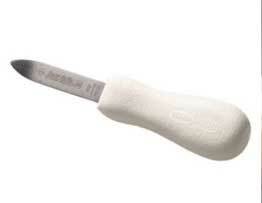 Insert the point of the oyster knife into the hinge, and wiggle the knife while placing a little pressure downward into the oyster and not towards your hand. If you are successful, the oyster shell will crack open. Run the knife along the top of the shell to release the oyster into the bottom half of the shell. Be careful not to lose the liquid. Discard the top shell, along with any loose shell fragments. Carefully run the knife under the oyster flesh to release it from its adductor muscle on the bottom shell. I received my oyster order today and even though they are supposed to be for Christmas I could not help my self and shucked a few to eat right away. Wow so super fresh and yummy! I will most definitely be ordering from Legal Seafood again! I live in the middle of the nation and it is so refreshing to receive FRESH seafood! Our oysters arrived on time!! They were very fresh!! They were unusually tasty!!! BAG OF 100 OYSTERS FOR A GIFT. THEY ARRIVED ON TIME AND HAD GREAT REVIEWS FROM THE RECIEVER. Simply wonderful. Fresh, briney, Good to the very last one. We received a gift certificate for Legal Sea Foods went with 100 oysters over the holidays. Fantastic service - the oysters were packaged fresh and arrived with ice packs and in good shape. Served some raw, some Oysters Rockefeller, and some in a light soup. I ordered their shucking knife for $15 and it was restaurant kitchen quality - well worth it. Watched a couple of chef-based 'How to Shuck An Oyster' videos on YouTube and became quite good at it. Nicely done! Enjoyed by all. Do it again next year.